A security question offers additional security when resetting or recovering a password for an account. 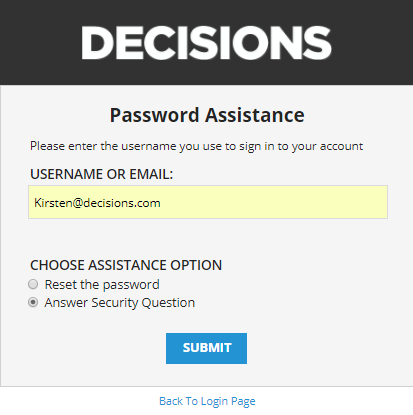 When a user sets up a security question and provides an answer, the user can use that information to log in to the portal, then change the password. Users set up account security for themselves. The Administrator can add to the default list of security questions, under System > Security > Security Questions	. In this example, we will set account security for a user. Log in as the user for which account security needs establishing. From the Home	folder, click on the Actions	menu, select Setup Account Security	. From the Security Question	drop-down menu, select the desired security question. 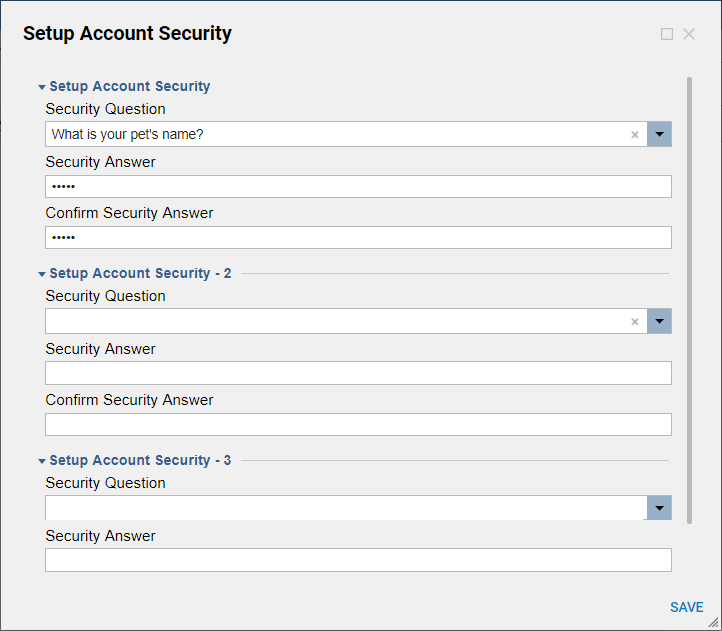 Enter the answer to the question in theSecurity Answer	and Confirm Security Answer	fields. Click OK	to save. Now, in the case the user forgot his/her password, the user can use the Answer Security Question	option upon clicking the Forgot Password link from the login screen.